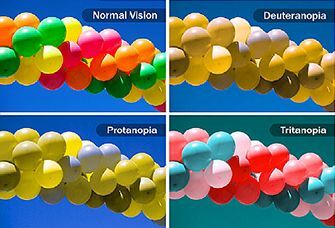 Everyone who goes through Darien High School learns about color blindness during freshman year biology; learning about alleles, the difference between recessive and dominant genes, and doing Punnett Squares. A select few then, unexpectedly, continue learning about color blindness when they take Mr. Rejan’s English 10 Honors course. In the course, Mr. Rejan and his students explore Oliver Sacks’ Island of the Colorblind about Pingelap Atoll, a Micronesian island in the South Pacific. In Pingelap, 10% of the population are completely color blind, unlike the average 8% of men and less than 1% of women who are colorblind, according to National Geographic. For these people, the word “color” has a completely different meaning. At Darien High School, there are many partially color blind students as well as teachers. I had the privilege of talking to four students: John Barsanti, Owen Wagner, Colin Smith, and Libby Branca; about the condition and the meaning of color to them. 3 of the 4 students had trouble distinguishing between different colors, but 1 student in addition to struggling with distinguishing colors actually doesn’t see the color purple. My first question for them was if they thought colorblindness was an advantage or a disadvantage? Many thought of it as both positive and negative. They liked the idea that they looked at the world through a unique lense, but disliked the feeling of missing out at times. Smith described it perfectly saying, “ I can’t say it makes my life any harder than it would be, just a little less colorful.” One negative aspect that two students, Wagner and Smith, mentioned was the difficulty they had with color-coded maps and diagrams. However, both agreed that because maps are not a hugely important aspect of life this struggle didn’t affect their lives too much. 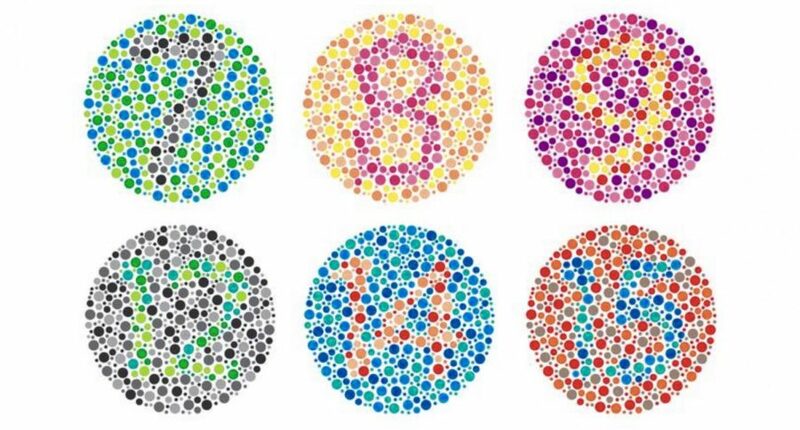 This is one of the tests taken to see if you are colorblind. Another question I had was would they change it so they could see colors? I was shocked when there was a 50/50 split. Wagner and Barsanti both agreed they wouldn’t because they liked the “feeling” that no one else sees the world the way they do. Branca and Smith opposed them. Branca would change her eyesight to help her pursue her dream of being a pilot, and Smith is simply “curious” about what it is like to see like a normal person. Through talking to these four, I found my own meaning of color. Color has always had a very important position in my life due to my color-coding obsession. Said obsession has created strong emotional ties to a specific color, for example, a hatred for the color red because of its association with stress. I saw the many different ways to interpret each color and its meaning to each person. I certainly have begun to appreciate colors more since talking to them, savor when a color really strikes me as beautiful. However, I am sure this appreciation will diminish as time goes on and other things become more important than noticing color’s beauty. But for today, I sit in awe of the perfectly white snow, the dark green pine trees, and the occasional budding rose.